Justice has finally caught up with an evil stepmother who was behind the beating and keeping a malnourished child inside a stairway closet more than four years ago. The woman has been found guilty of injuring and endangering a child. 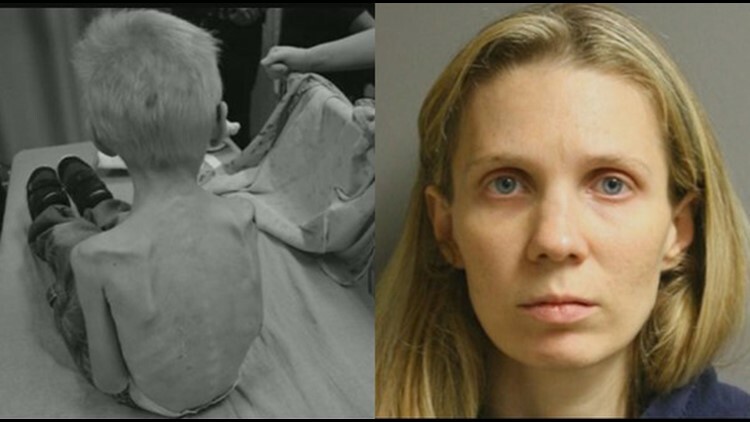 Tammi Bleimeyer was arrested in March 2014 and charged with felony child endangerment after the then 5-year-old child’s 16-year-old brother, Bleimeyer’s own biological son, found him horrifically beaten and pitifully malnourished as he was kept hidden inside a stairway closet. The teen stepbrother spoke out about the horrible condition of the child. 34-year-old Bleimeyer was also charged with injury to a child in 2015. Bleimeyer’s husband, Bradley Bleimeyer, the child’s father, was also charged with injury to a child. The father pleaded guilty in 2016 and he has meted out a 15-year prison term. The victim named Jordan weighed only 29 pounds when he was discovered in 2014. He was so emaciated that his bones became visible through his skin and bruises. After being discovered and rescued, Jordan was sent to pediatric intensive care to regain his health endangered by abuse and malnutrition. Jordan’s biological mother, Wendy Hall, said the poor child later admitted to her that he was only fed just a cup of water and a piece of bread every day. The father was also accused of drugging the boy to keep him quiet when guests came over. Bleimeyer posted $30,000 bail on Saturday while her now estranged husband remains in jail on $150,000 bond. The boy continues his path to full recovery. He started kindergarten last year. Jordan now lives with an aunt. An appeal on the Dr. Phil show generated thousands of dollars meant for the care and recovery of the young boy. He is said to be doing good in school now and has gained friends there.